Ditch the cooler. Keep the cool. Enjoy your favorite cold or hot beverage, anytime, anywhere! 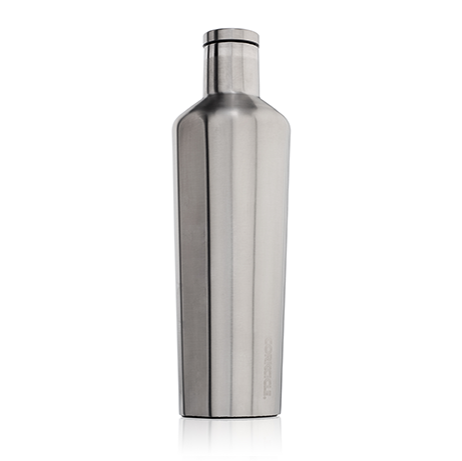 Crafted from stainless steel with proprietary triple insulation, patented easy-grip flat sides, and a no-slip bottom to keep spills at bay. 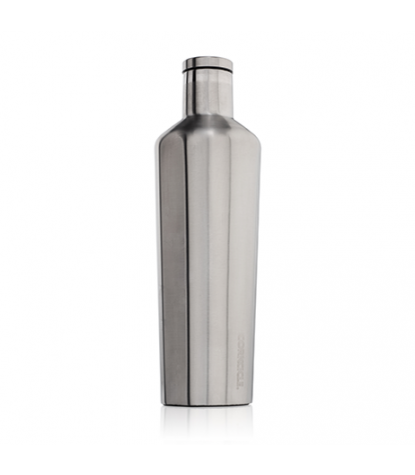 The Corkcicle Canteen keeps drinks ice cold for up to 25 hours or hot for up to 12 hours, without ever freezing or sweating. Drinks stay cold for even longer when containing ice. Available in all of your favorite colors and sizes! Great gift for any age! Whether popping a cork, raising a glass, throwing one back, slow-sipping Jack or slowdripping Joe, their mission is simple: Elevate the moments we share together. When you savor life one sip at a time, the world is a pretty refreshing place. Which is why Corkcicle creates products to help you do just that.